Melodies. Melodies are always on my mind. The sound of them, all the time. Salsa and bachata. Bachata and salsa. They never stop. Latin people… We are so loud! We play and we listen to music all the time. For us, everything is a big party. A melody is a good cause for celebration. That’s the strongest memory of my childhood. My family. The picture of my grandmother and my mother, cooking for us. I love them. Cooking was my hobby. You may not know that, but when I was living in Italy, I was studying to be a chef. Cooking and… eating chocolates are my favorite habits. Photo by: Basketball Champions League. The 90’s? To be honest, I don’t remember a lot from that decade in Havana. But I can say those years weren’t great for Cuba. All I can say it’s that it was bad times. Not that bad, but it wasn’t easy for the people. My first sport activity was baseball. What else could it be in my country? The transition to basketball was due to my family. They love basketball! I love basketball too. So, when I moved from Cuba to Italy, where baseball is not too big and popular, I thought: “Why not basketball?”. That’s the way I started. I already played in the playgrounds and “3 on 3”, “2 on 2” and “1 on 1” in my neighborhood, I started thinking about it seriously and kept going to play professionally. The ball replaced the chef’s white hat. Playing basketball in Cuba is tough. Nobody knows you there. But when you play ball back there, it’s something you do with passion. You are not playing for big money or anything. You play for the passion, because you love it. The “for the love of the game” quote is usual, but it’s the best and most appropriate motive to begin with. Thanks to basketball, I travelled to a lot of countries in Europe. I would like my country to be a part of this world and do well. I would like people don’t have to go away and leave their families to look for another life. To be honest, I haven’t really thought if I go back to live in Cuba when I retire from basketball. It depends on many things. But I go there every summer. Every summer I go back home, to my family. It’s a great opportunity and occasion, in order “my Cuba” not to exist only in my mind and my memories. I do it for my people. My family, wherever I am, is my priority. 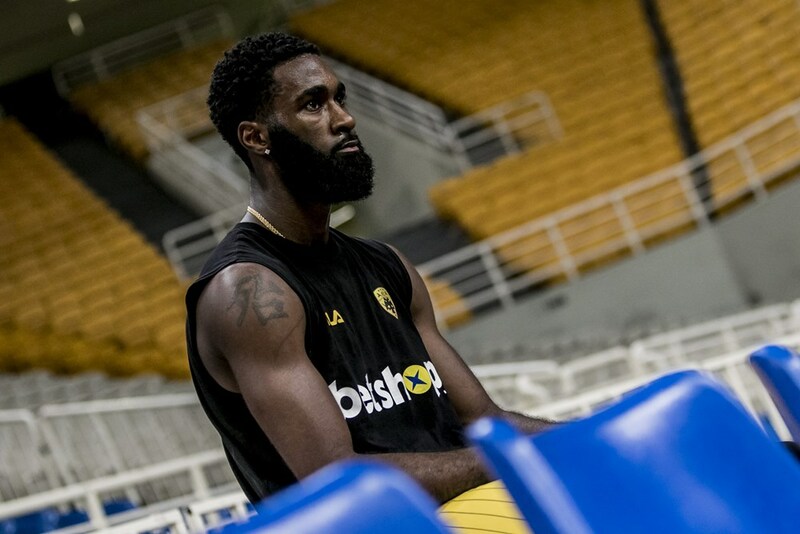 Howard Sant-Roos is a professional basketball player currently playing for AEK BC.